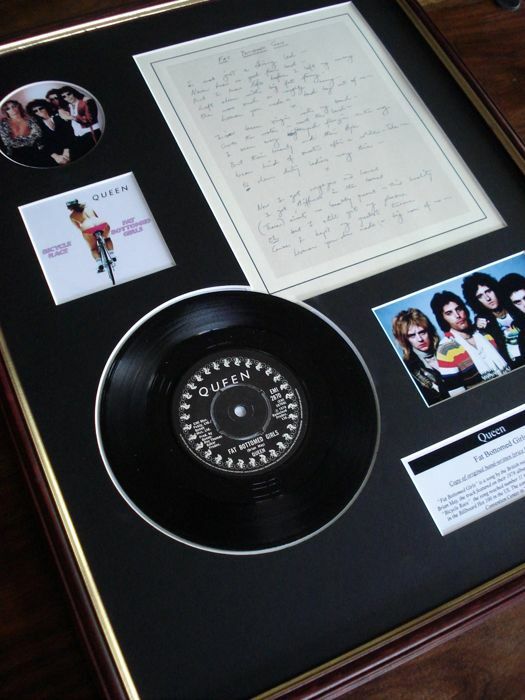 This beautiful presentation features a quality facsimile reproduction of Freddie Mercury's original hand-written lyrics of the classic Queen song Fat Bottomed Girls, reproduced on high quality parchment paper for a dated feel. 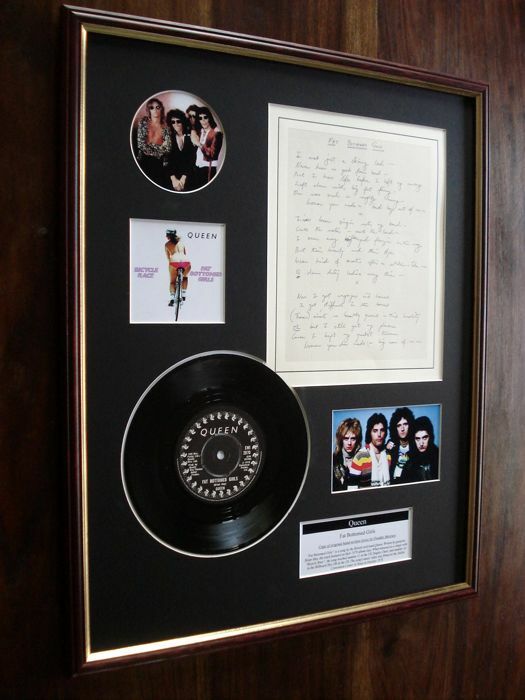 Also included is a seven-inch record of the song, picture of the record sleeve and other pictures of Queen. The nameplate displays detailed information of the song. All this is presented on bevel edged mountboard and housed in a glazed (shatter-proof) 20" x 16" mahogany frame. 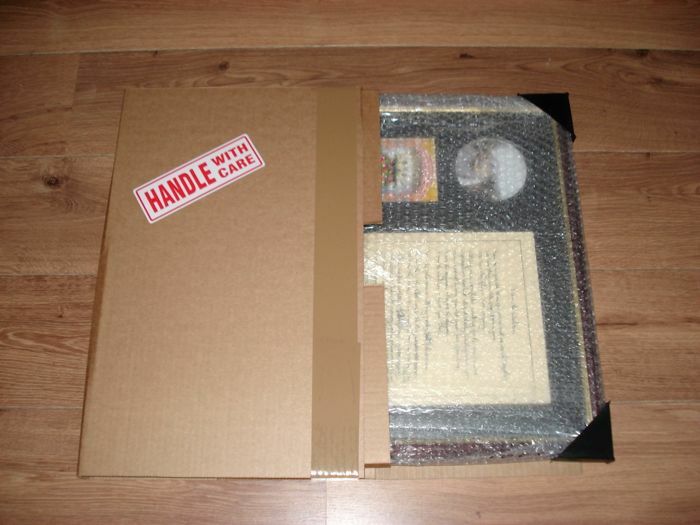 Ready to hang, this presentation is professionally made to our own high standards using quality materials and will present a real talking point on its chosen location. Buy with confidence. 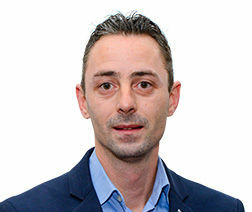 Puoi ritirare questo lotto direttamente presso il venditore: Hockley (Essex), Regno Unito.